Heraklion, the capital of Crete, is a great place to spend your holidays and a unique base to explore the world famous sights of the island. Seven days in Heraklion are enough to discover its secrets: the Venetian harbor and the Walls, ideal for a journey back to history and the modern Heraklion with its squares and walkways full of taverns, ouzo shops, gourmet restaurants and many young people entertaining all night long. 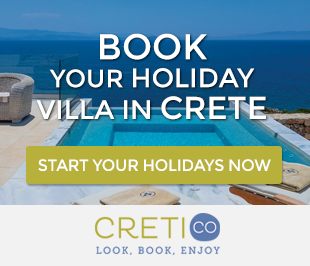 Looking for accommodation in Heraklion? Check out these Holiday Villas! In addition to these, you will have the chance to visit a number of excellent museums and one of the largest aquariums in Europe. 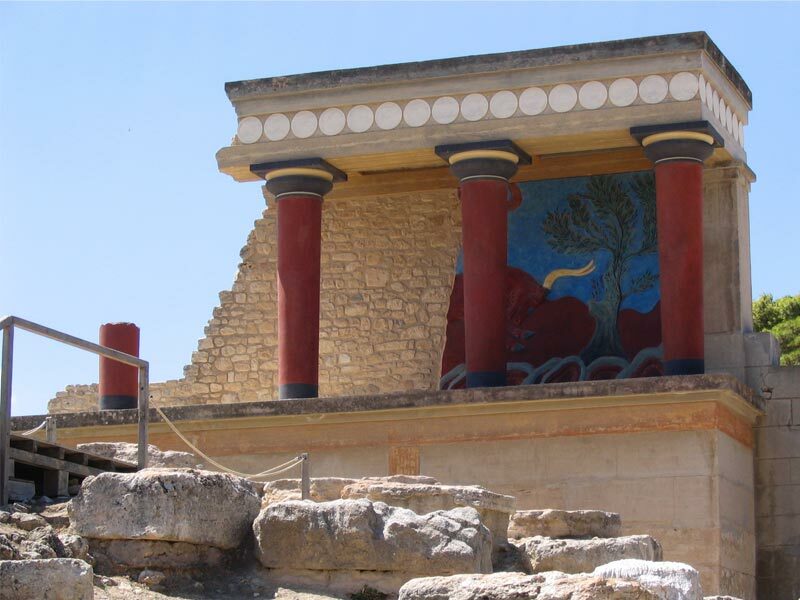 Of course, the popular Knossos is one of the major attractions throughout Crete and Greece, famous worldwide as the center of the Minoan civilization. 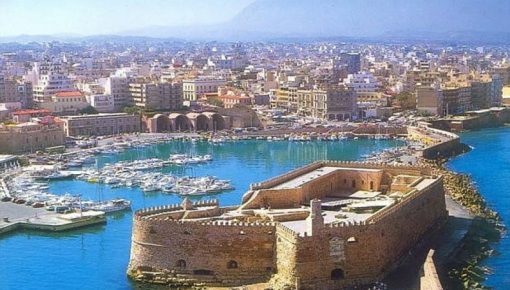 The historical Candia, the city of Heraklion with its Venetian harbor, is a modern capital city with several options in the field of culture, stay, food and entertainment. Stroll its streets and enjoy the sights: the impressive church of St. Titus Square, originally built by Nikiforos Fokas in 961, the Town Hall (Loggia) with 82 gables and galleries. 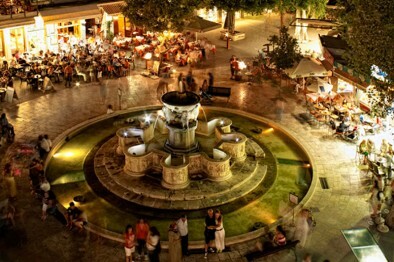 Opposite, is the Lions Square, with Morozini fountain and full of life every day and night. 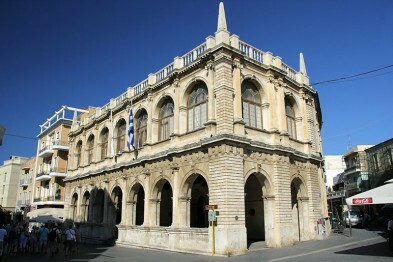 You may also visit Liberty Square, where stands out the impressive building of the Prefecture of Heraklion. Knossos was the most important center of Minoan civilization and one of the most popular archaeological sites in Greece and Europe. It is only 5 km away from Heraklion city. In Knossos was located the Palace of King Minos and the famous Labyrinth of the Minotaur, according to the Myth. Thanks to the restoration of the Palace by Evans, who excavated Knossos, Knossos is a unique archaeological site in Greece, where the visitor can experience how life was in the Palace during the Minoan Period. 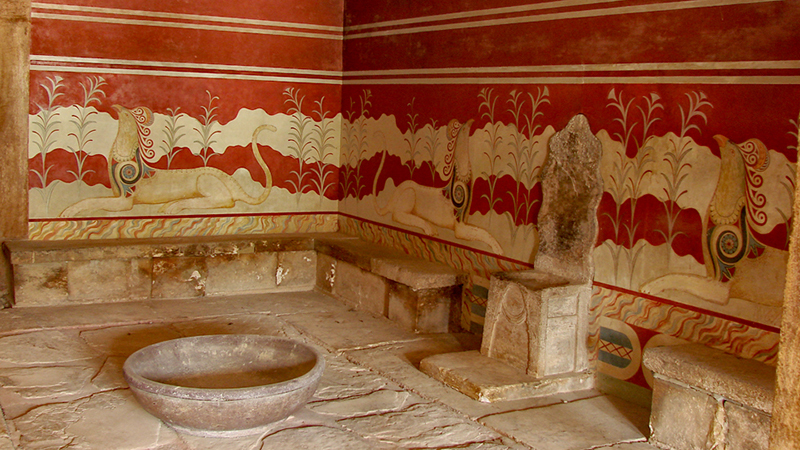 You will get the chance to admire the Throne Room, the Processions corridor decorated with Minoan murals with the “Prince with the lilies” as the most known. Also, the famous “Double Horns”, one of the sacred symbols of Minoan religion, the “House of the Queen” and the mural with “Dolphins”. You are on the third day of your holidays in Heraklion! It’s time to explore the area around the capital city and visit some of the most beautiful beaches of the Prefecture. Agia Pelagia is a seaside village and with its houses built around the coast in an amphitheater style. At west, it is surrounded by Lygaria Bay and east, by the Gulf of Mononaftis. It must be noted that the view offered in this place, is really stunning! 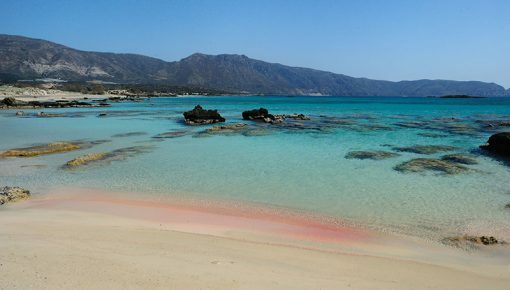 Agia Pelagia is famous also for its beaches! As it is “protected” by the bay, the sea remains calm and clear whether the wind is blowing or not. Apart from the stunning sea, its golden beaches attract also many tourists throughout the year. 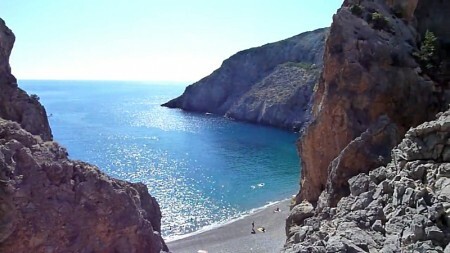 If you would like a more peaceful environment, you can visit the beaches Psaromoura and Mononaftis at the west side of Agia Pelagia. Matala and Pitsidia is another one-day trip you can have in order to explore south Heraklion. 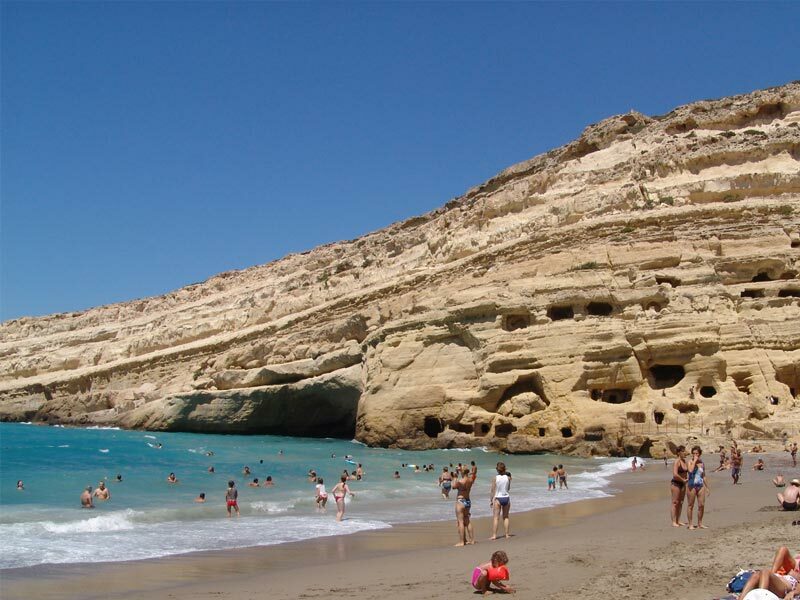 Matala is located 65km southwest of Heraklion and is famous for its clear waters and golden sand. You will swim in the beautiful waters of the Libyan Sea in a really unique landscape with imposing rocks. The sandy beach, 300 meters long, forms a semicircle on both sides, where there are cliffs, shaping a small cove. You will be impressed by the countless caves formed in the rocks from the fury of the waves and the sea salt. After you enjoy the beach of Matala, you drive only 4 kilometers and you reach Pitsidia village, combining unique views of sea and mountain. 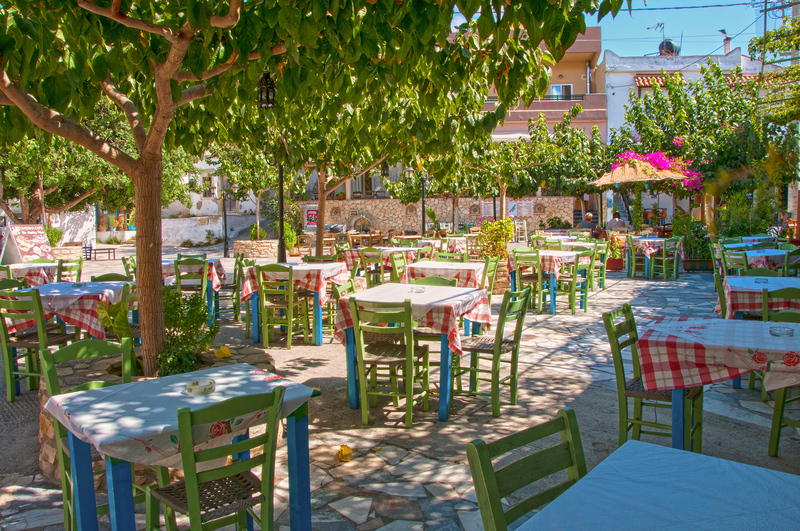 The village has a history in hospitality and tourism, so you will find taverns with excellent food and traditional cafes to enjoy your coffee. 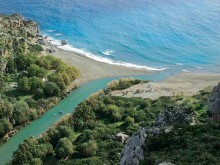 Spend one more day of your vacation in South Heraklion to visit a place of unique beauty: Agiofarago gorge and its beach! 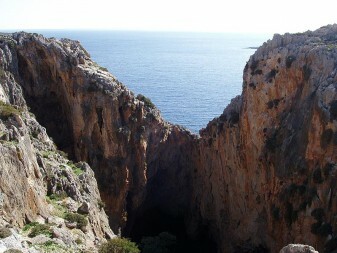 Agiofarago is located between the Monastery of Odigitria and the village Kali Limenes. It takes about 20 minutes hiking to cross the gorge. After some minutes of hiking, you will see the chapel of Agia Kyriaki in a cave! Keep hiking into the gorge and you will soon find the church of St. Anthony, also in a cave, which was the center of the ascetics of the region. It is good to keep water with you, as there are through no sources of water in the gorge. When you cross the gorge you will end up on a beautiful beach overlooking the Libyan Sea! The water is crystal clear and the scenery really gorgeous! The beautiful Zaros village is located 45 km south from the city of Heraklion in an area full of beautiful trees and agricultural products. The village is famous for the excellent quality of its running waters, which are collected in channels and irrigate the lash vegetation of the area. In the village there is a small lake formed, with large trees, a traditional stone mill and fountains. 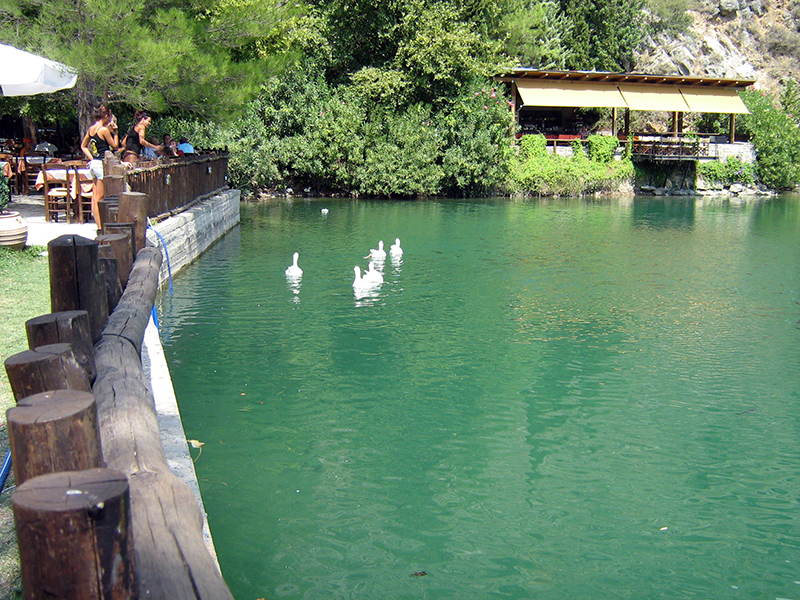 After you have a lunch in this beautiful setting, you can visit Rouvas Forest. 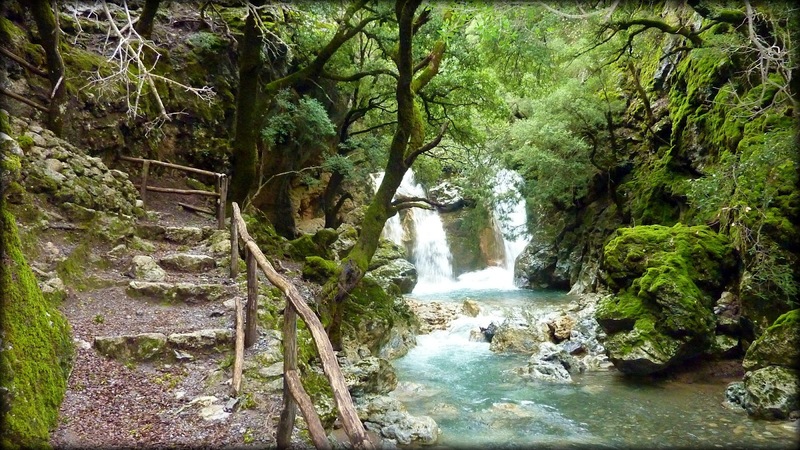 Starting from the lake, walk the path that leads you to the gorge of Agios Nikolaos (St. Nicholas) where the waterfalls and green landscape will impress you. The gorge ends to the amazing forest of Rouvas. Under the oaks there are wooden tables and water, ideal place to enjoy a snack and have a rest on your return. Unfortunately, the last day of your vacation has come! Probably you don’t want to spend your day in a place quite far from Heraklion, since you don’t want to be exhausted before your journey. That’s why we would recommend you Hersonissos! Hersonissos is a very popular tourist resort, with lovely but busy beaches, dozens of shops selling souvenirs, clothing and jewelery, restaurants with all kinds of cuisine, cafés, bars and clubs for every taste. If you spend family holidays in Heraklion, a day in Hersonissos will make your children really happy as it is offered for family activities. We would recommend you to visit the two water parks of the city, in which you can spend a whole day playing, having fun, eating and drinking your coffee. You may also make a ride on the “happy train” of Hersonissos. 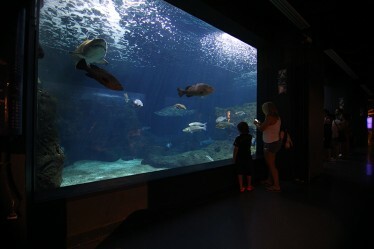 Before you leave, you should visit the aquarium “Thalassocosmos” in Gournes, with sixty tanks and 2.000 marine organisms! 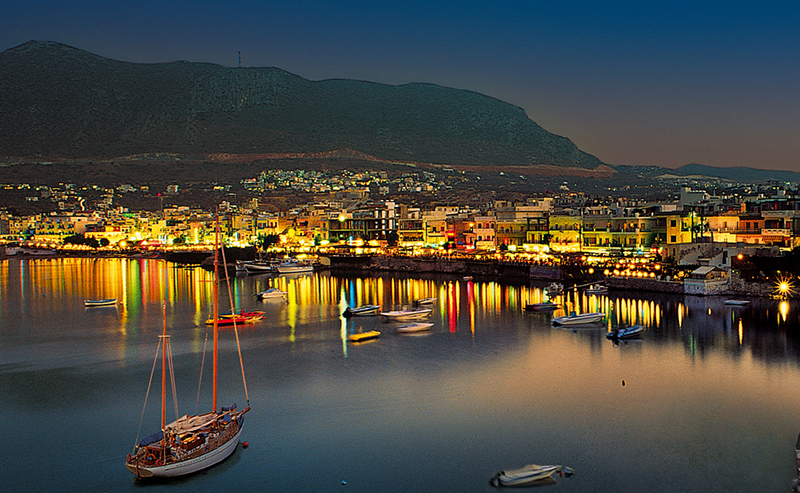 Heraklion is the biggest Prefecture of Crete, so you will need quite many days to explore its beauties. However, one week stay in Heraklion is enough for you to catch a glimpse of its beautiful beaches, traditional villages, sights, and hospitable people. Posted on 09 Apr 2016 in Heraklion and tagged Agia Pelagia, Agiofarago Beach, Beaches In Crete, Beaches In Heraklion, Heraklion Highlights, Hersonissos, Knossos, Matala Beach. A Day at the Botanical Park of Crete – A Miracle of Cretan Nature!